In the unique traditional surrounding Paroikia of Paros, we’ ve chosen local products from all over Paros, giving to the visitor of the island the opportunity to get acquainted to unique fabulous flavours made with traditional ways. DETAILS: Dry white wine, produced by the Union of Agricultural Cooperatives Paros (E.A.S.P.) 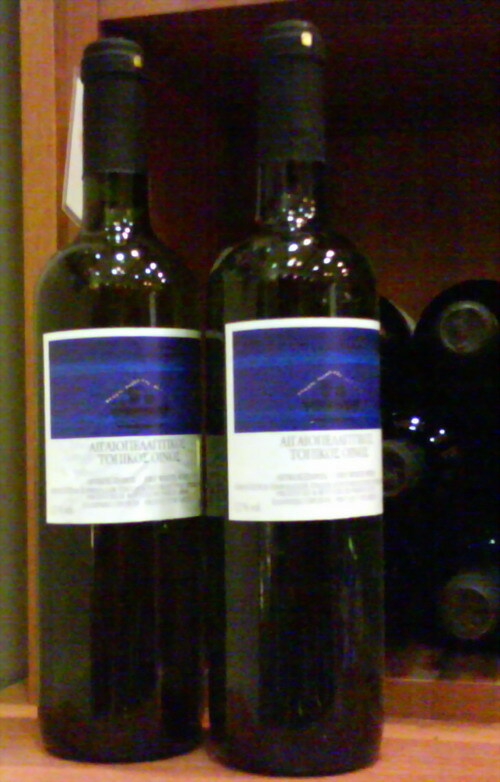 from exceptional variety of grapes Aegean. DETAILS: Dry red wine. 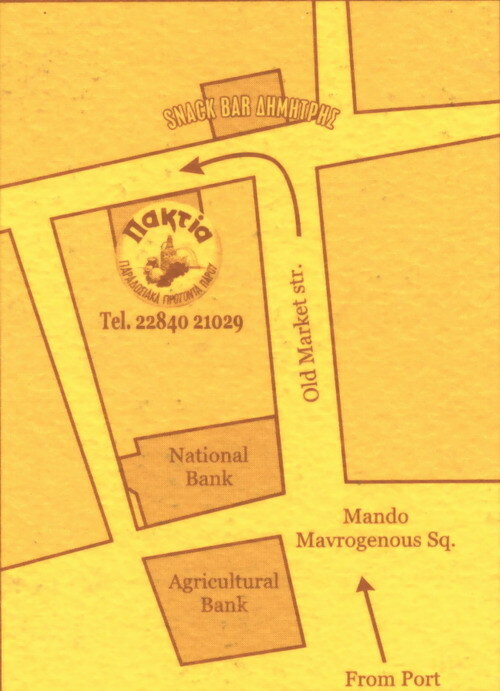 Produced by the Association of Agricultural Co-operation Paros (E.A.S.P.) 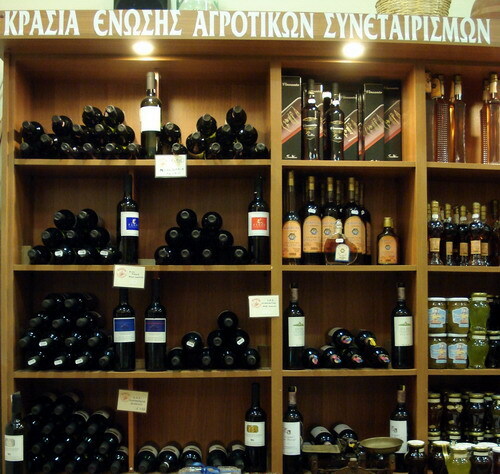 from exceptional variety of grapes Aegean. DETAILS: Dry White wine, produced by the Union of Agricultural Cooperatives Paros (E.A.S.P.. Made with love by unique varieties of the Aegean full of fragrance of the sea can offer. DETAILS: Dry red wine, produced by the Union of Agricultural Cooperatives Paros (E.A.S.P.) from the marriage of red mantilarias with monemvasia. DETAILS: White Dry wine. 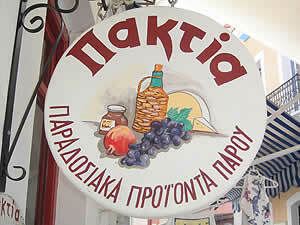 Produced by winegrowers Year of Paros the outlets. It is fermented in oak barrels. DETAILS: Dry red wine, produced by the wine producers in Paro and outlets. Aged 18 months in oak barrels. DETAILS: Red semi-sweet from liasta grapes aged 12 months in oak barrels. 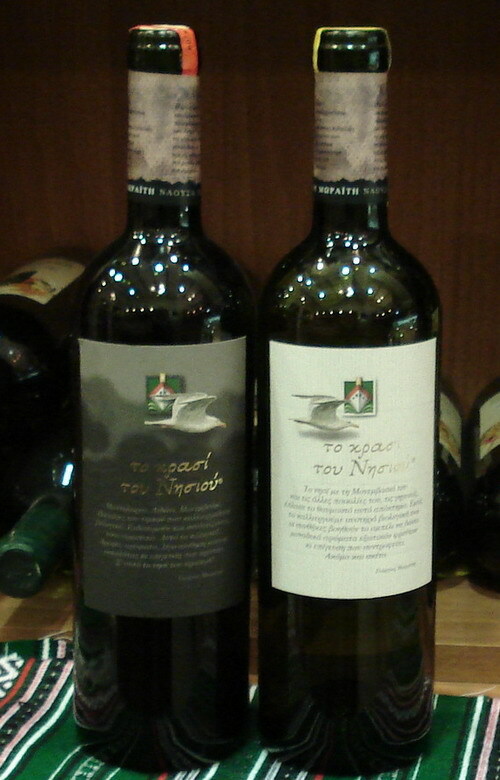 Produced by wine producer of Paros Moraiti. DETAILS: It is selected from the rocks of the sea and supplied in traditional choriattiki salad with or without leaves. 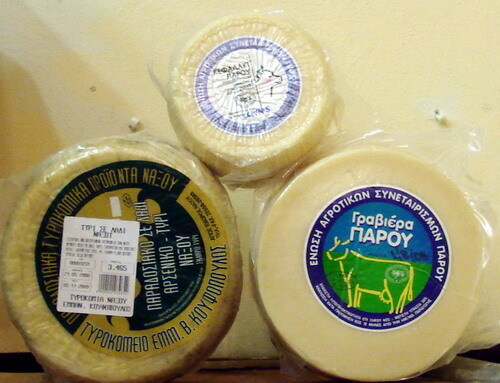 Also with paximadokouloyra, xynomyzithra, tomato, oregano. 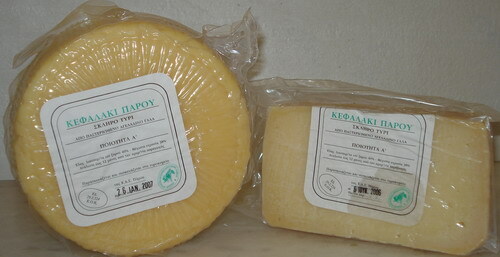 DETAILS: Salty cheese, mostly for pasta, produced by the Union of Agricultural Cooperatives Paros (E.A.S.P.) and ushered in Brine. 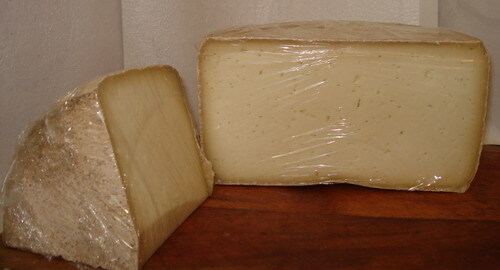 DETAILS: Pungent cheese from goat milk. left a few days in brine and cooked in oil. DETAILS: Dry white wine, derived from the Farmers' Cooperative Union of Paros (E.A.S.P.). 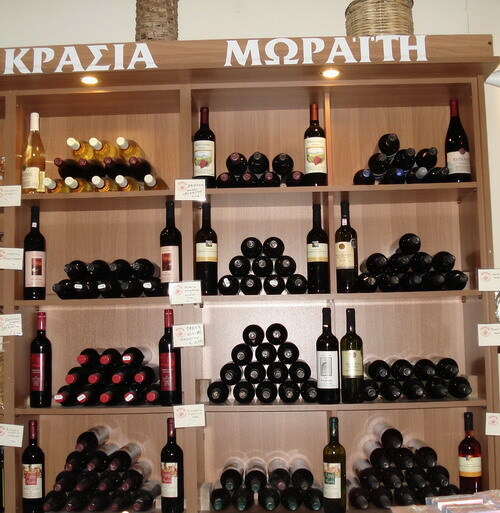 The name of the variety is apoichos a legend of world wine production wine malvazia Monemvasia. DETAILS: Dry red wine. 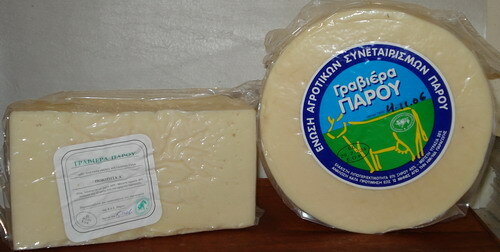 produced by the Farmers' Cooperative Union of Paros (E.A.S.P.). Ideal marriage rubella mantilarias and white Monemvasia. DETAILS: White dry wine. produced by the wine-growing moraiti. DETAILS: Dry, white wine, produced by the wine-growing of Paros Moraitis. DETAILS: Dry rosé wine, produced by the wine-growing of Paros Moraitis. 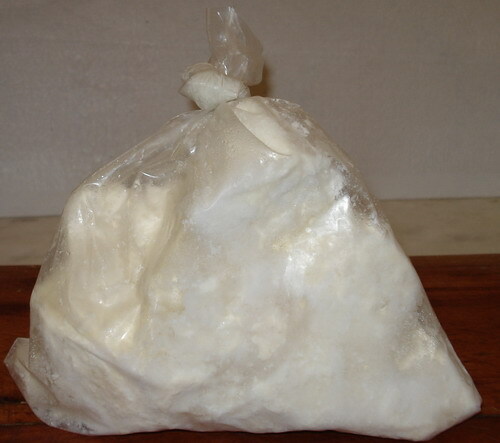 DETAILS: Pungent cheese from goat milk, manouri cheese, salt and cooked in the bag (touloymi). During secondary 3 months. 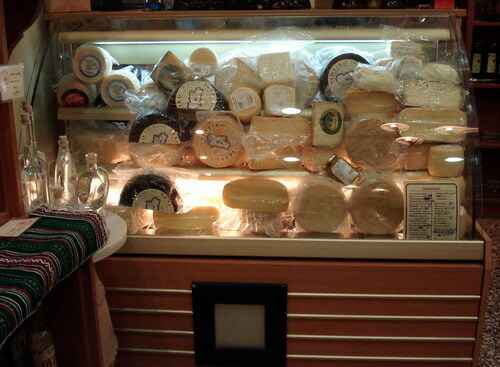 DETAILS: Made by producers from Parianous stafylotsimpoura which vrazontai in together and the spirit is the souma. DETAILS: Dry white wine. produced by the association of Agricultural Cooperatives Paros (E.A.S.P.) from the unique variety Monemvasia Greece. DETAILS: Dry white wine, paragetai from the wine-growing of Paros moraiti. DETAILS: Dry red wine, produced by the wine-growing Moraiti of Paros. palaiomeno 12 months in oak barrels. DETAILS: These are kiln with benne, cracked almonds and leaves of daphne. DETAILS: Ηandmade from sesame and honey parian excellent quality. cooked in meli with sesame seeds and Wrap-shaped cycle. All the information – company’s presentation and profile – is provided and stated by the company’s owner or manager who is fully responsible.